CarGurus has 297 nationwide MAZDA2 listings starting at $2,995. Thank the Canadians. Even though their population barely eclipses that of California, their small-car consumption at least equals ours, or at least that’s what Mazda is betting on. The estimated 20,000 MAZDA2s the company calculated it could sell in the U.S. simply weren’t enough to import the model, but with our more polite northerly neighbors shelling out for an additional 20,000, the zippy little subcompact will finally grace our shores. No, we haven’t exactly been clamoring for Mazda’s entry-level supermini, but after winning World Car of the Year in 2008, there’s really little excuse left for that. After all, Mazda knows small and fast, and while the 100 hp and 98 lb-ft of torque provided by the MAZDA2's DOHC 1.5-liter inline four won’t offer face-melting acceleration, the weight-saving measures employed by Mazda will certainly make the best use of that power. Jenny Craig take note, Mazda is putting on a clinic in weight loss. Mazda claims the B3 platform the latest 2 is built on is 10 percent lighter than the old chassis, but weight-saving techniques were employed throughout. Six pounds alone were saved by the use of efficient welding and lightweight materials throughout; everything from the wiring harness to the speakers and hoodlatches account for dozens of additional pounds saved. The result is a 2,300-pound vehicle, something rarely seen in this century. Twenty-three hundred pounds means that little 1.5-liter engine can scoot you to 60 mph in around 8.7 seconds, according to independent testing, and while the manual transmission won’t get you there any faster, it’ll feel a lot quicker, which makes a huge difference in a little car. In fact, the five-speed manual will offer real-world benefit over the four-speed automatic above and beyond its thousand-dollar option savings. While slightly vague and occasionally sloppy, the manual gives the MAZDA2 an EPA-estimated 29/35 mpg rating, as opposed to the 27/33 with the automatic, and truly the complaints about the manual transmission are those that would be generated by an enthusiast. 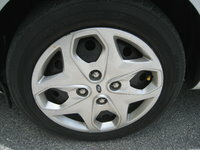 Your typical consumer would find the five-gear setup wholly suitable for city and highway use. And that’s another plus for the MAZDA2. Whether in Sport or Touring trim – the latter of which offers alloy wheels, foglamps, roof spoiler, chrome exhaust tip and interior upgrades – the MAZDA2 does just fine on the highway, with only its short wheelbase hurting the ride over rough roads. Keep the revs high, and it’ll even make for an interesting corner carver, with its taut suspension and light weight lending to tossing it into the apex. Electronic steering is well designed, feeling unbalanced only at slow speeds, where it can feel too light. Space is the real surprise, however, with four-adult seating a real possibility, as long as none of them exceeds 6 feet. Even storage isn’t meager, with over 13 cubic feet jumping to almost 28 with the rear seats folded. But the MAZDA2 seems to excel at offering more than you’d expect, especially at a base price of just under $15,000. With luck, other manufacturers will take notice, and the same frenzy that led to the tidal wave of SUVs will affect the subcompact market. The MAZDA2 is a great example of what the class could be and has precious few weak points itself. With an upscale interior and slightly better performance, we might even see U.S. sales pushing past those of our more polite neighbors. 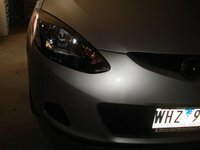 What's your take on the 2011 Mazda MAZDA2? 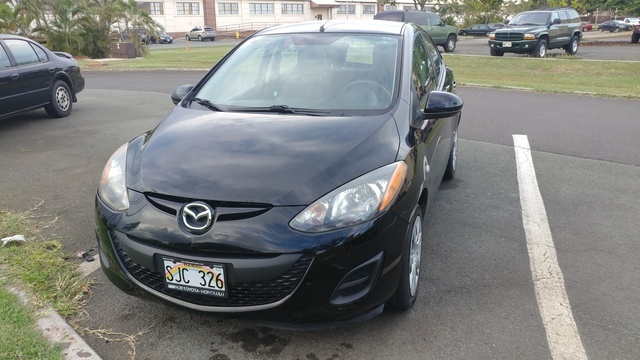 Have you driven a 2011 Mazda MAZDA2? does the mazda2 have bluetooth phone technology? A rattling noise on the driver side of my car in the front here at all speeds especially going over bumps. Maybe swaybar links? Not sure any help would be appreciated. Can I tow a 4x8 trailer with a mazda 2, 2011? Uhaul says it can, but I wonder.